One in five children in Scotland are growing up in poverty. It doesn&apos;t have to be like this. 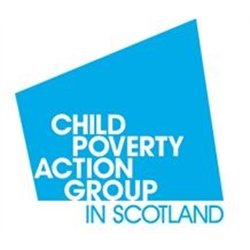 Child Poverty Action Group works to prevent and end child poverty - for good. This is an exciting opportunity to support schools, early years centres and other relevant agencies in taking action to remove cost barriers to full participation at school. You will have a good understanding of education principles and practice, experience of developing and delivering high quality training, experience of working with children and young people and excellent communication skills. You will also be able to enthuse and support other professionals to develop, act on and share good practice. You will be part of CPAG in Scotland’s small Cost of the School Day team, but based within Dundee education service, working closely with participating schools, community organisations and Dundee City Council. The post may be suitable for secondment with agreement from your employer. CPAG wants a society where all children can enjoy their childhoods and have fair chances in life to reach their full potential. Come and help us end child poverty for good. This is an exciting opportunity to help ensure all children, including those from low income backgrounds, are able to fully participate at school. You will develop Cost of the School Day communications, practice gathering and monitoring and evaluation functions, ensuring that learning and evidence from our work with schools is shared effectively and that we have a clear understanding of reach, impact and further need. We are looking for somebody with experience in transforming project learning into useful and accessible communications which motivate practitioners to take action. You will have experience in developing communications in a variety of formats and the skills to work with project partners to identify practice which promotes equity and removes cost barriers to full participation at school. You will also have the skills needed to help us develop and implement systems which monitor the reach and impact of Cost of the School Day activity across Scotland.